Any reader of Neil Gunn’s books knows he makes reference to a long abandoned holy site in Dunbeath that he refers to in “Highland River” as the House of Peace. This was always assumed to be folklore, as there is no evidence of a church remained to the present age. A group of archaeologists are trying to establish if Norsemen brought Christianity to Caithness before St Columba arrived on Iona. 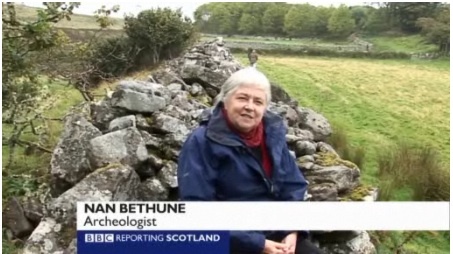 The question has arisen after a dig at an ancient church site at the coastal village of Dunbeath. Pottery dating back to the 6th Century has recently been found in the area. A University of Nottingham team is to carry out further exploration which they hope could show evidence of an even earlier Christian church.